According to a State Department report, Kim Jong-nam, the half-brother of North Korean leader Kim Jong-un, was killed by a chemical attack in Malaysia on the orders of the North Korean government. Kim Jong-nam died in February 2017 at Kuala Lumpur airport, where two women smeared his face with VX nerve agent. The two women, who say they believed they were carrying out a prank for a TV show, are on trial for murder. In response, the US said it would impose new sanctions on North Korea. The US has consistently accused North Korea of being behind the attack on Kim Jong-un’s half-brother. North Korea denies any involvement. What Is VX Nerve Agent that Killed Kim Jong-nam? The new sanctions, which came into force on Monday (March 5), are largely symbolic, joining a vast array of punitive economic measures the US has taken against North Korea. The announcement comes a day after a high-level South Korean delegation returned from North Korea where they had cordial meetings with Kim Jong-un. Capitalizing on warmer ties after the PyeongChang Winter Olympics, Kim Jong-un and South Korean President Moon Jae-in have arranged a landmark meeting for next month. It would be the first such meeting for more than a decade and the first since the North Korean leader took power in 2011. President Donald Trump has said the developments, including North Korea’s suggestion that it might discuss getting rid of its nuclear weapons, “are positive” but might be a “false hope”. In previous programs to halt its nuclear ambitions, North Korea has failed to keep its promises. Kim Jong-nam was largely estranged from his family and was bypassed for the leadership in favor of his younger half-brother, Kim Jong-un. 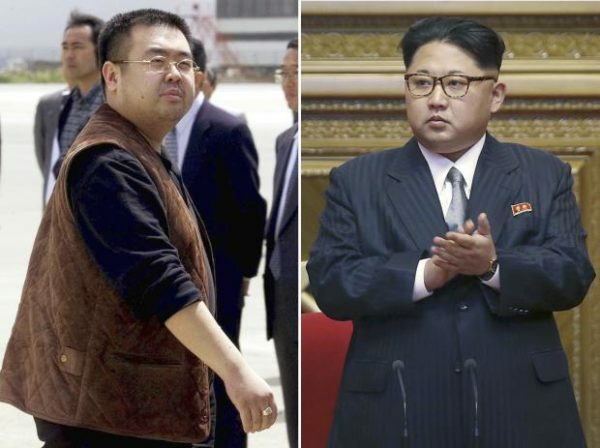 Kim Jong-nam had spoken out in the past against his family’s dynastic control of the country and, in a 2012 book, was quoted as saying he believed Kim Jong-un lacked leadership qualities.